C-Lab supports visionary entrepreneurs providing disruptive solutions to real-world problems using Blockchain technology. Through a 3-month-program, we help you to establish your venture, design your customer centric product, develop your blockchain solution and access to investment options and grants. C-Lab empowers entrepreneurs by providing access to BlockchainHub partner organizations, a community of 1500 Blockchainers and 15000 entrepreneurs across the Greater Toronto Area. 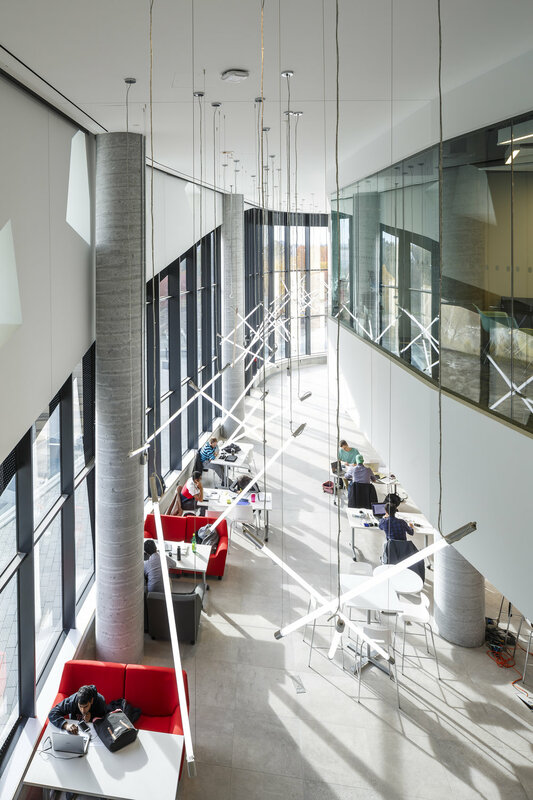 Free space: Access to the state of art space at the Bergeron Centre for Engineering Excellence at York University (Toronto - Canada). In-house experts: Provided business mentoring in different stages (Ideation, business development, MVP, implementation and commercialization). The founders club: Networking opportunity with your peers at C-Lab, BEST Lab and LaunchYU to discuss progress, share ideas and best practices. Human resources: Whether you are looking for a co-founder, developer, sales person or any type of profile, we have a pool of highly skilled BlockchainHub Professional Network members you can choose from. Product building: Access to top-notch Blockchain architects and developers that help you build the right product for your customer segment, a product that is secure, viable and scalable. Build-measure-learn: C-Lab is the first in its kind to provide access to highly qualified beta testers with Blockchain knowledge to try your MVP at an early stage and provide you with feedback that will enhance your learning experience and allow you to improve your product before the implementation phase. Funding: Providing guidance through funding processes, help acquiring grants, and fundraising through our VC partners and our equity crowd-funding platform. The venture should be using Blockchain technology. Good understanding of the problem and the market opportunity. Strong business case and market potential. Comply with the C-Lab code of conduct. Have clear and defined milestones on what the venture aim to achieve at the end of the program. Are you an INDUSTRY ADVISOR/MENTOR?